Last week we talked about Goals and how to identify what yours should be using the ‘Vision’ method. When I do this exercise in workshops there are a handful of Goals that come up time and time again. I blogged about the number one Goal of all time a few months back, but there’s another popular goal that easily takes the number two slot. Even in this day and age of social media and online dating it seems that more people than ever find themselves sitting at home on a Friday night, with nothing more than a packet of crisps and a cat to keep them company. For some people that might sound like absolute bliss, but I’ve met many others who were hoping for a little more. At the very least someone who would sit between them and the cat, share the crisps, or bring their own bag for the occasional swapsie. If finding and starting ‘a new relationship‘ made it into your Goals List then you’re in luck! Over the next few weeks I’ve got not one, but two books coming out on the subject. 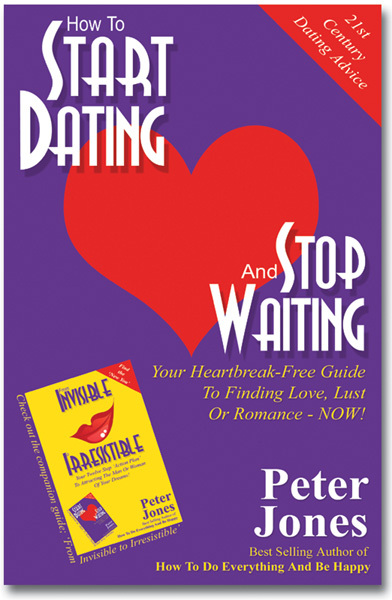 How To Start Dating And Stop Waiting, my long awaited third How To book, will be released in paperback, audio and as an ebook, on the 14th of February this year; Valentines Day. If you enjoyed How To Do Everything And Be Happy, if you’ve ever found any of my advice useful, if you’re fed up with being single and would like 2014 to be full of love, lust or romance… well, this might just be the book for you. Subscribe to this blog (top right hand corner of this website – it’s FREE), or LIKE the facebook page, and I’ll be sure to remind you know when it’s available. 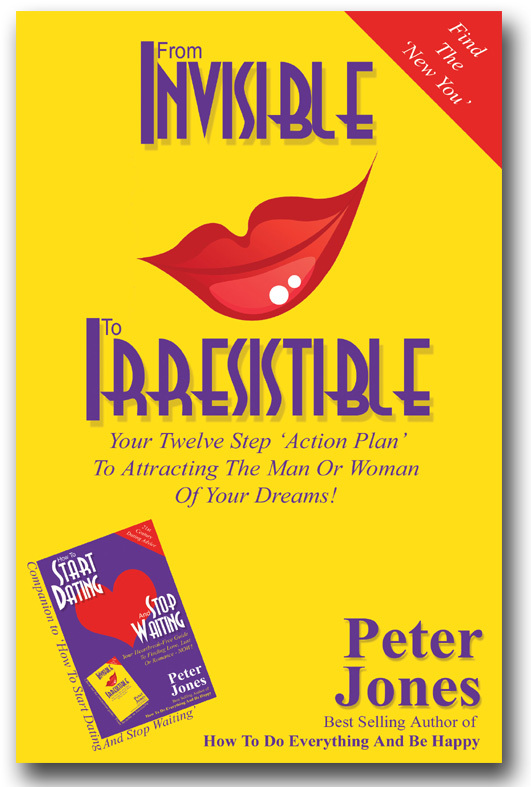 From Invisible To Irresistible is the shorter, quirkier, but none-the-less completely gorgeous companion guide to How To Start Dating And Stop Waiting. Through a series of twelve anecdotes I highlight (and fix) those underlying problems, that make otherwise attractive, charming people invisible to those they’d like to date.